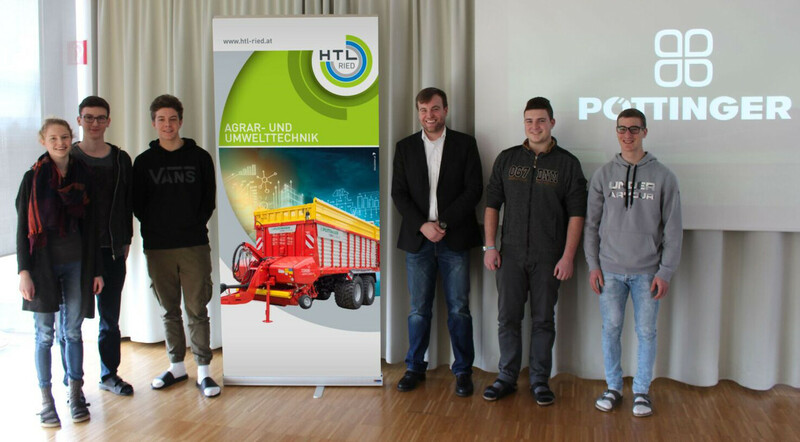 The cooperation of the company Pöttinger, a global player in agricultural technology, and the HTL RIED is firmly established. Pöttinger are well-known for developing and manufacturing innovative agricultural technology. Their product range includes comprehensive machinery for grassland harvesting, tillage implements and seed drills. 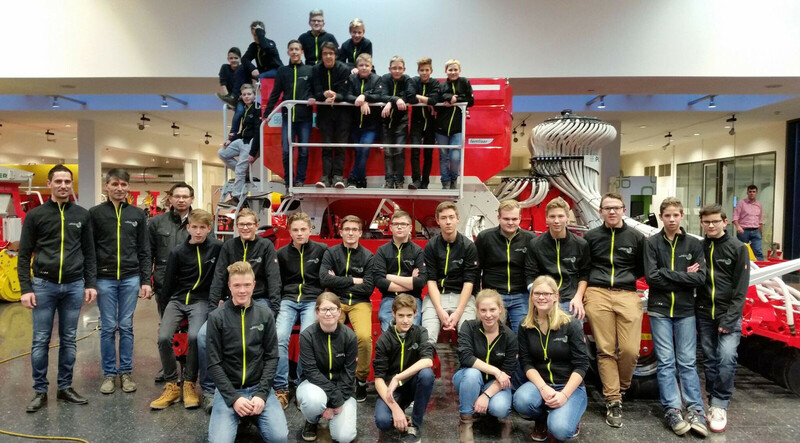 The graduates of HTL RIED are coveted engineers for Austria's biggest manufacturer of farming machinery. Since the school's new division "Agricultural & Environmental Engineering" was initiated in 2016, this collaboration has been intensified. Since July 2017 Pöttinger have been a member of the school's company support association. They support the students' practice-oriented education in many ways. 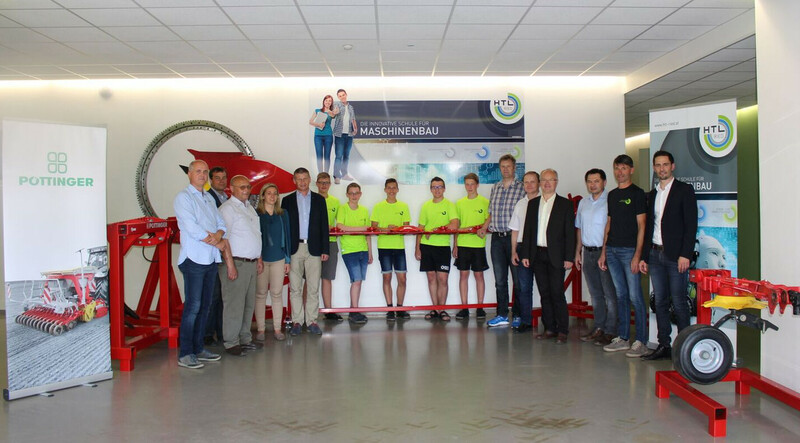 One example is the various machines and components which the Grieskirchen-based world market leader in loader wagons provides for the hands-on teaching in the school's workshop. It is for sure that Pöttinger will be on hand with help and advice for HTL RIED in the future to make this cooperation mutually satisfactory. A further milestone was the English guest lecture on "International Sales" by Mr Christoph Schürz, area sales manager for Scandinavia and Southern Africa at Pöttinger. 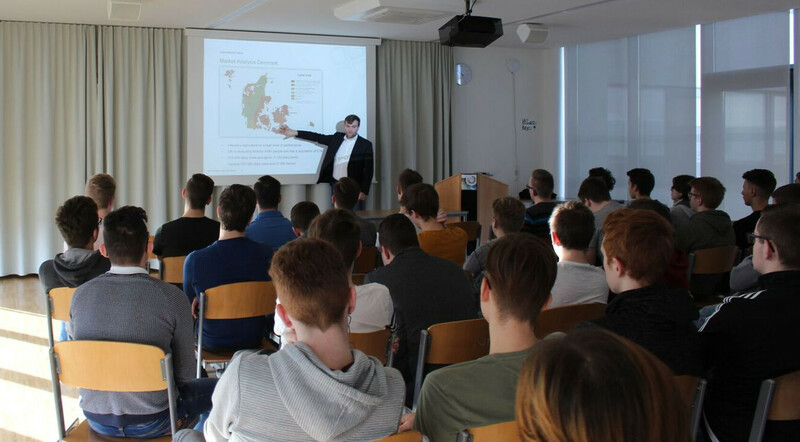 He visited HTL RIED to provide the students with very interesting and sophisticated insight into Pöttiner's international sales approach from the perspective of a global enterprise.